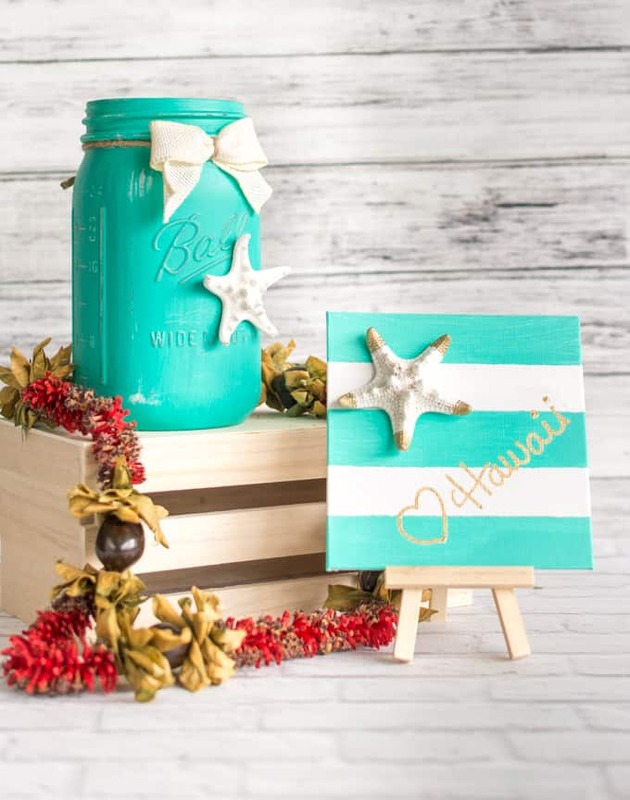 It’s pretty easy to tell from my tutorial topics that I love beachy decor! 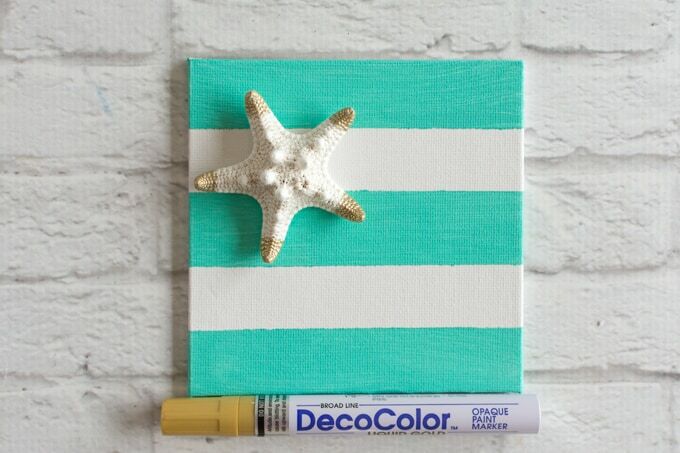 Folks seemed to enjoy the wine cork starfish beach art tutorial from the other month, so I decided to share another fun and easy way to add a splash (hehe) of the beach to your decor with this mini beach art canvas tutorial. Isn’t it sweet? I wrote “love Hawaii” on mine, but you an write whatever you’d like. Maybe you heart Boca Raton or Cape May or someplace I haven’t heard of yet! Customize away. 1. 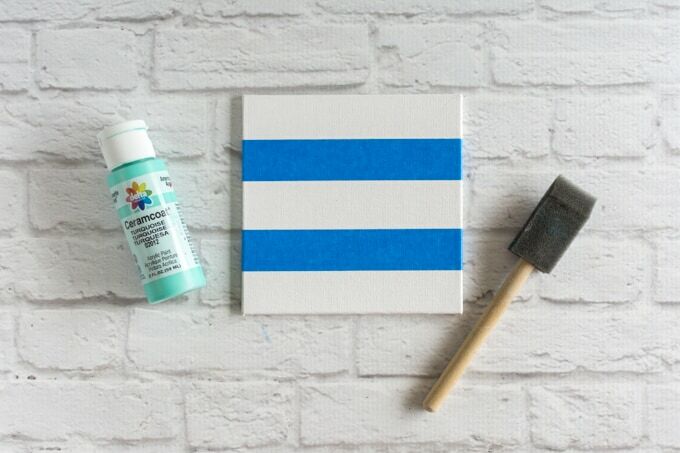 Place your painters tape across your canvas panel, as shown, to create stripes. 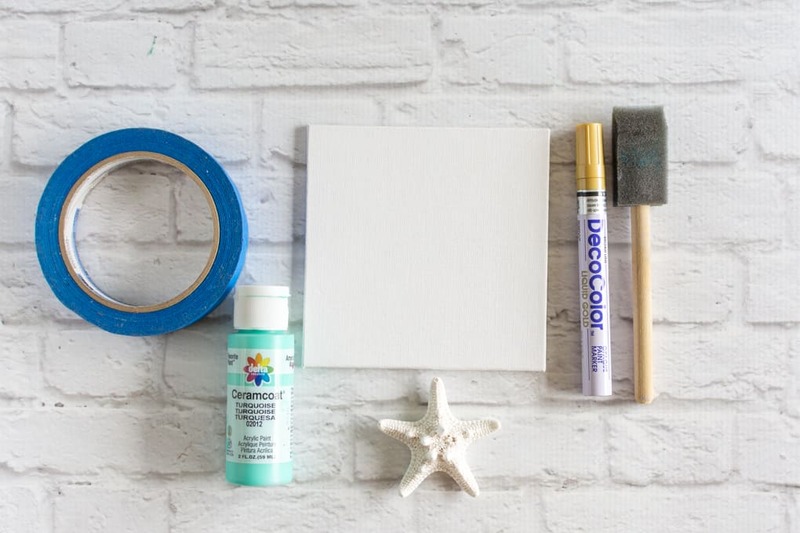 You can make as many or few stripes as you like, just remember to apply the tape so it’s level and press down firmly to minimize the chance of paint leaking under it! 2. 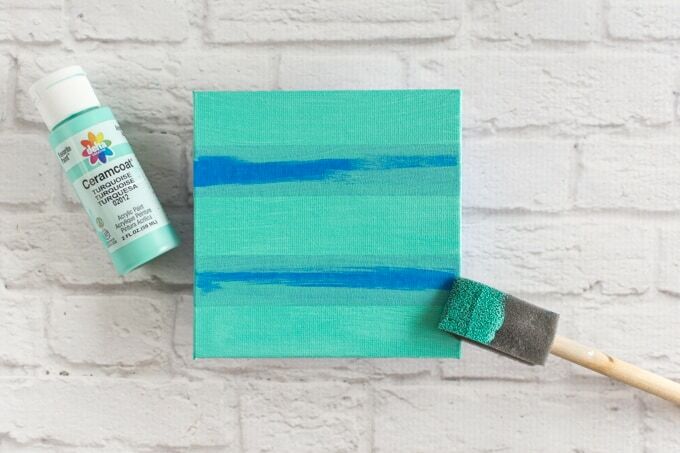 Paint the exposed areas of canvas. I like to do two light coats instead of slapping a lot of paint on at once. Using lots of paint increases the chances that it will leak under the painters tape. 4. 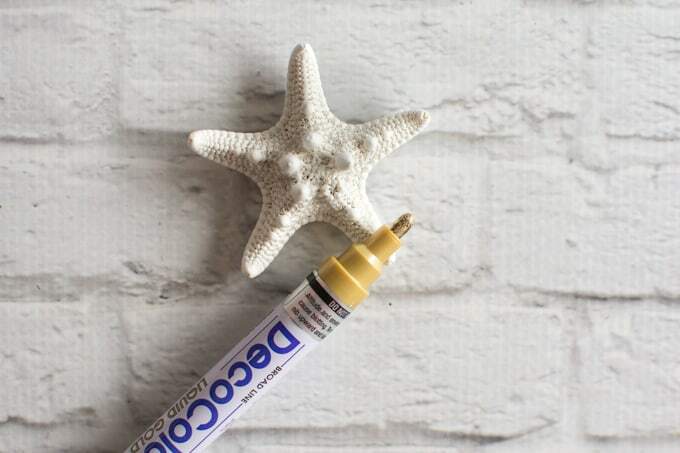 Once the paint has dried, remove the painters tape and play around with the starfish position to a bit to see where you’ll want to glue it. 5. 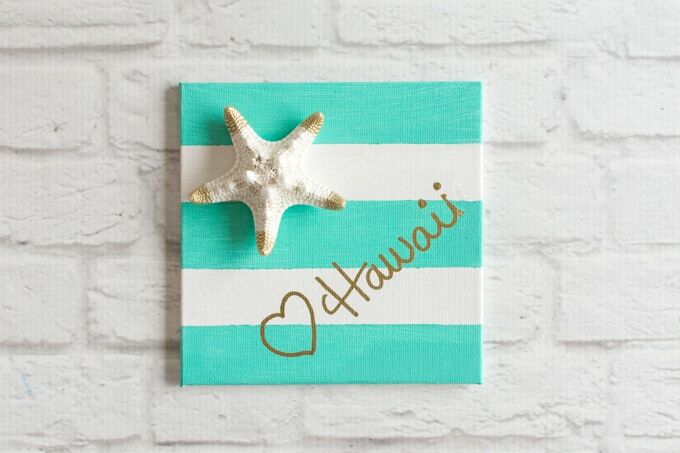 Before gluing the starfish down, write on your panel, if you’d like. I wrote (heart) Hawaii on mine! 6. 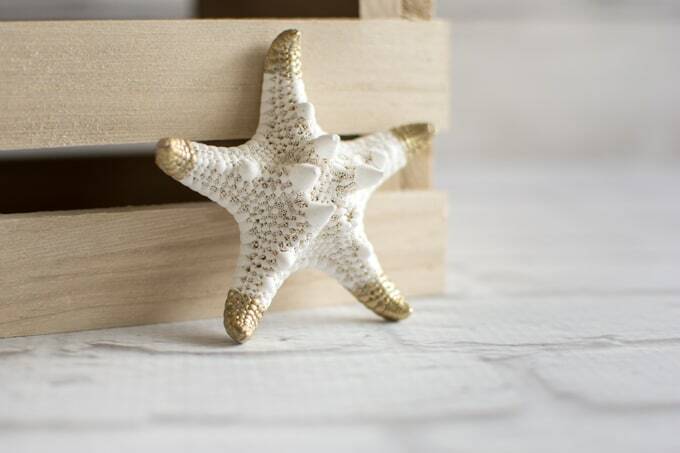 Glue your starfish in place and allow the glue to dry fully before moving the panel to a vertical position. 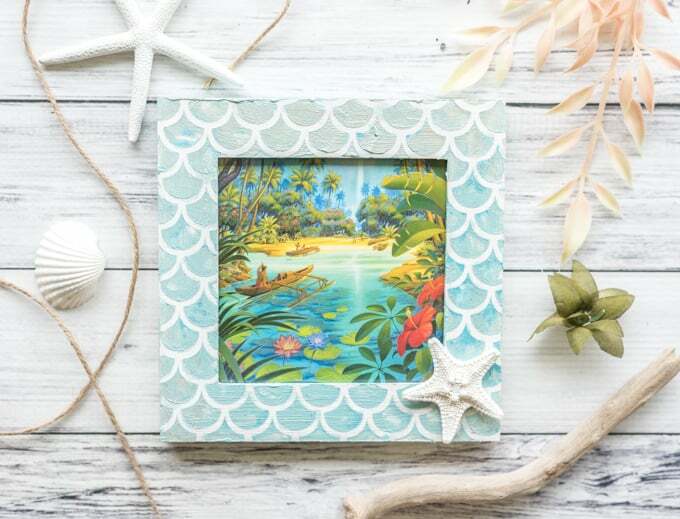 When I first sent a preview image to my sister ages ago, she said she wanted to make this beachy art panel. I hope she still thinks it looks fun and do-able after seeing the tutorial! I probably won’t know for a little while, though, since when this publishes she should be with us in West Virginia without internet! 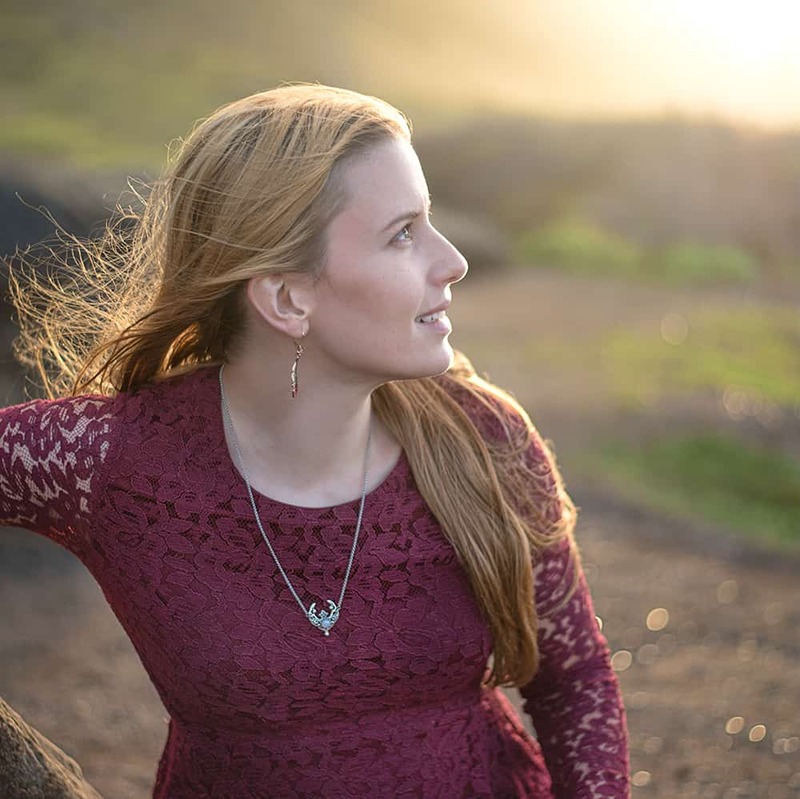 I hope y’all are having a great summer! Have you taken any summer trips yet? 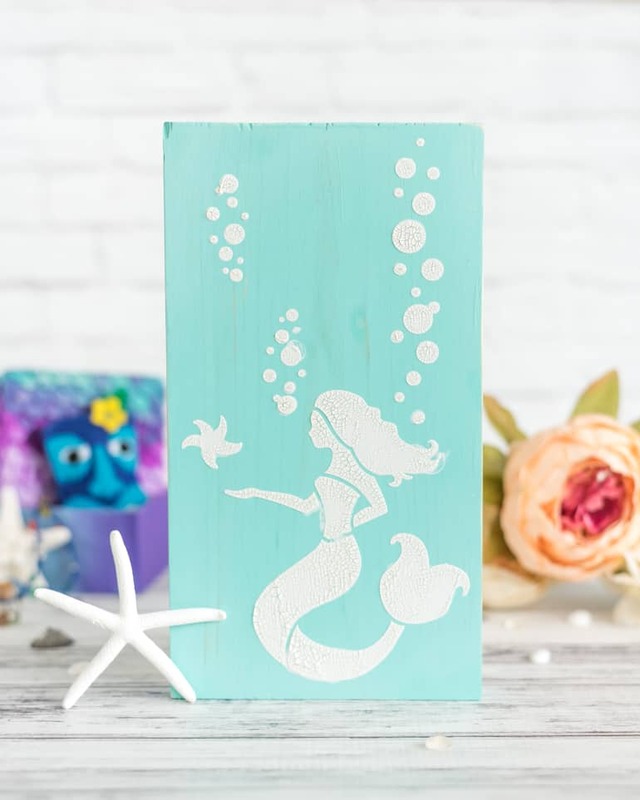 Been to the beach? Have any fun plans? So cute and easy enough for even me to do!! Such a cool idea! 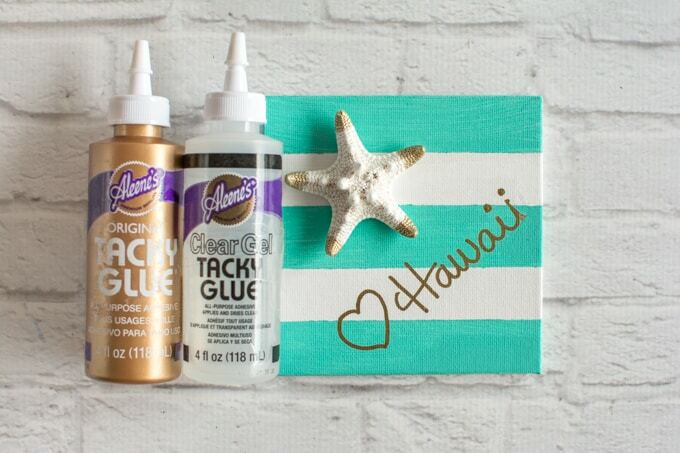 Thanks for sharing this lovely DIY! 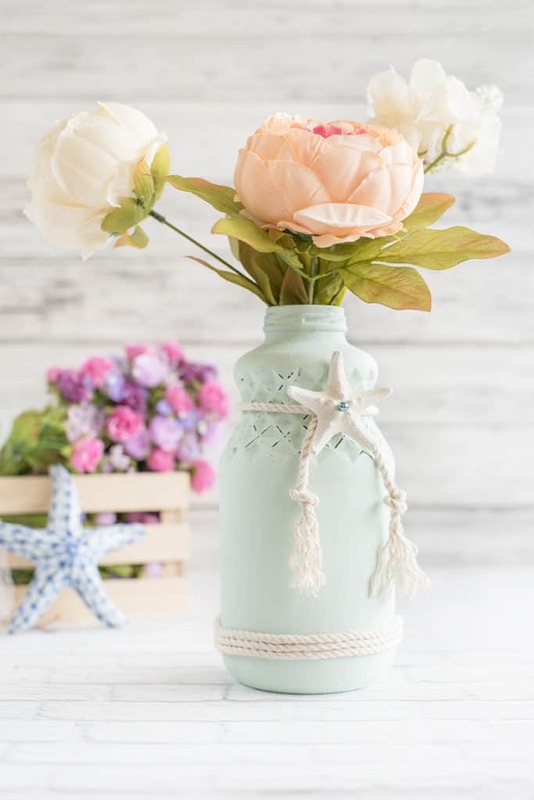 Next post: Sandy Texture Summer Beach Vase Tutorial – with free Silhouette Studio file!